Here's a look at another project I worked on when I was at my sister's house a few weeks ago. She really wanted a little shelf with hooks in the entryway that she could decorate for the seasons. She knew exactly what she wanted it to look like but couldn't find one in town. 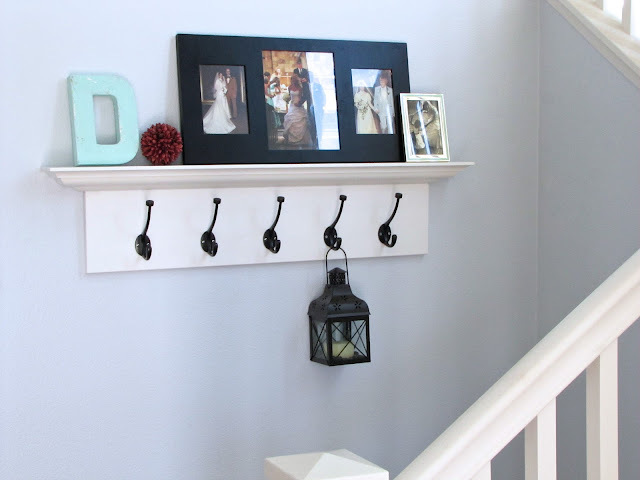 So her husband Phil and I put this together out of a few supplies we found at Lowe's. We chose already primed lumber from Lowe's and had them cut it to size. 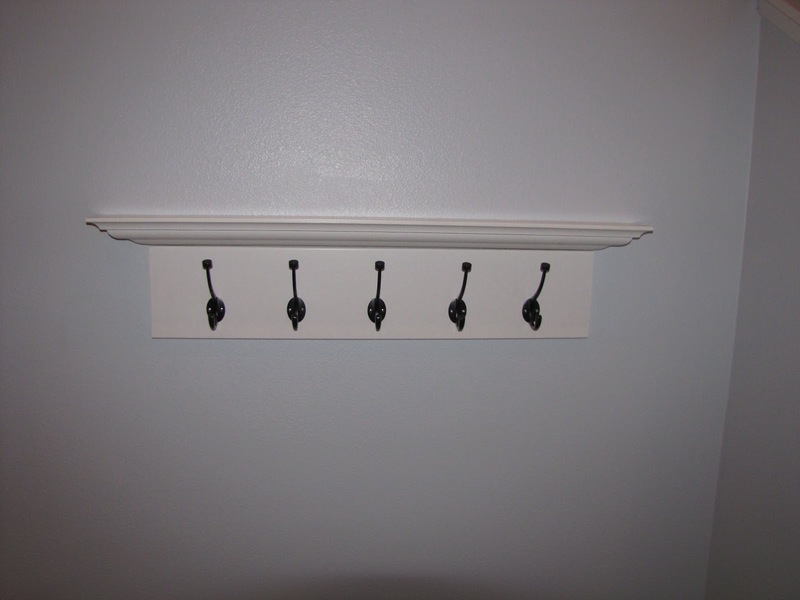 We wanted it to be the same length as the bottom of the crown molding ledge so it would look like it was all one piece. 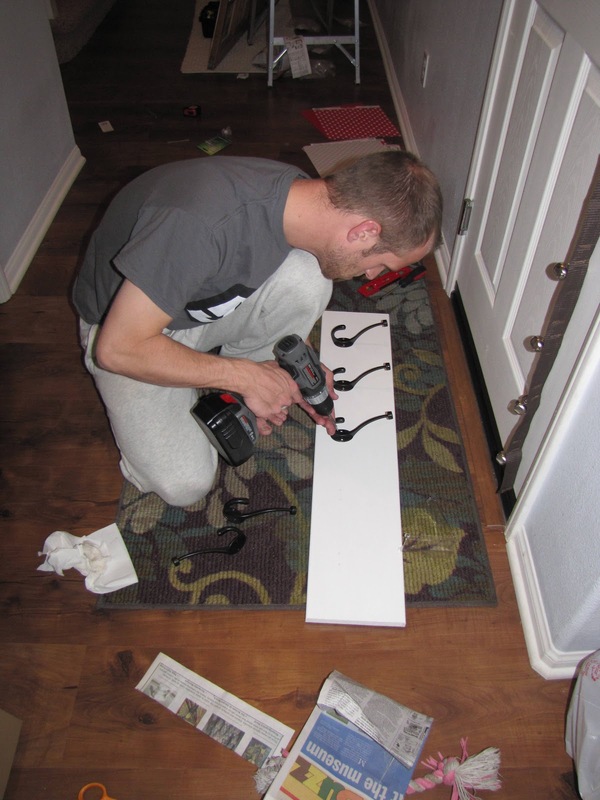 Once we got them home we painted them both with the same white paint so they would be the exact same shade. 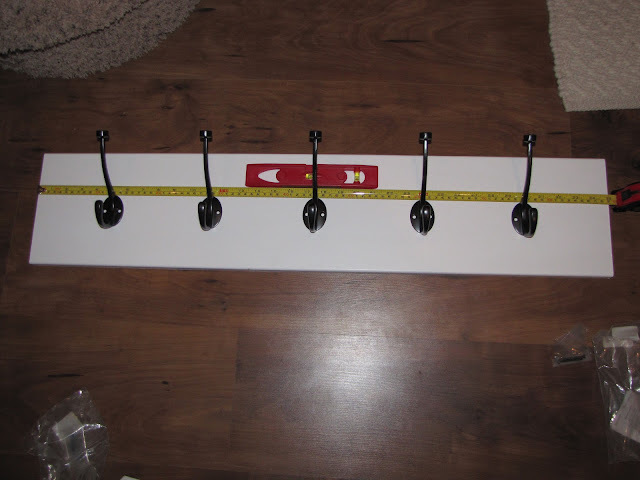 After it was completely dry we measured out where we wanted the hooks to go so they would be evenly spaced and marked each place where a screw should go with a pencil. 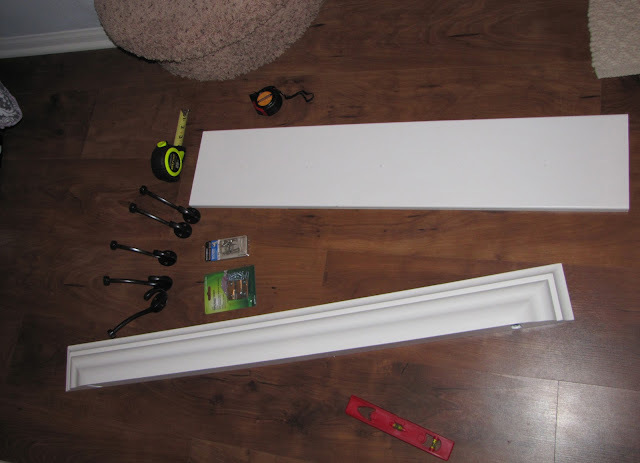 Make sure everything looks good and is nice and level but do not screw them in yet because you will need to install the hardware on the back of the wood first. 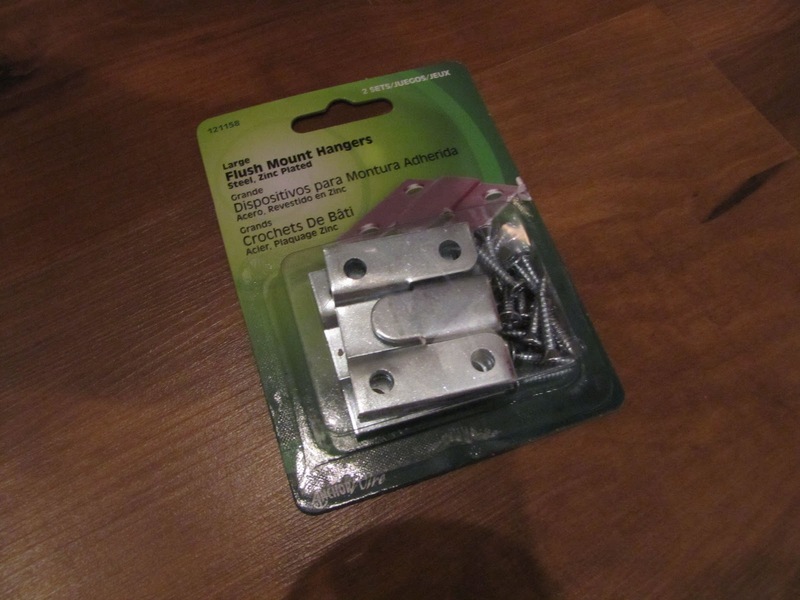 Here is a close up of the flush mount hangers we used to install the board to the wall. You want to follow the directions on the package but essentially each piece on the back of the wood will slip into the pieces you screw into the wall. Line up two of the pieces on either side of the board like so. Notice these are facing downward. 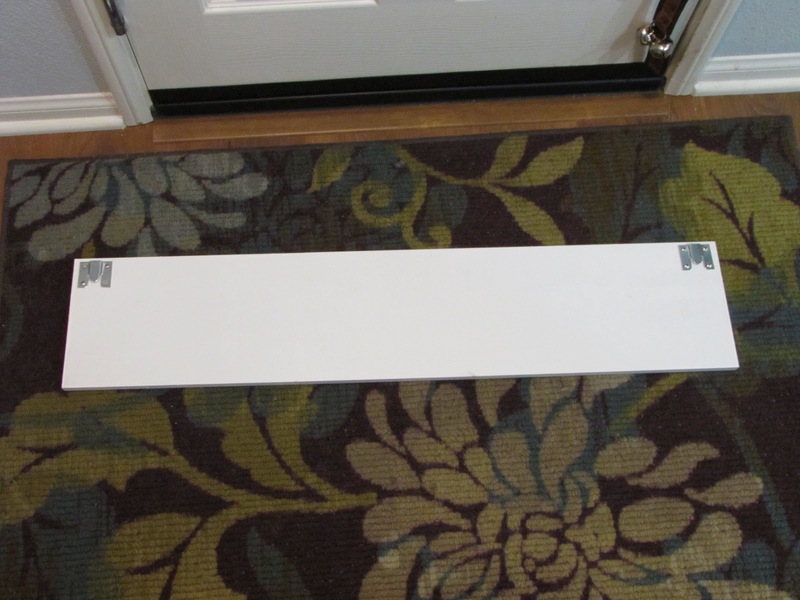 We positioned them about 1/4" from the top and side edges of the board on each side. Then screw them in. Make sure the nails they give you are not too long otherwise they will go through the front of the board. 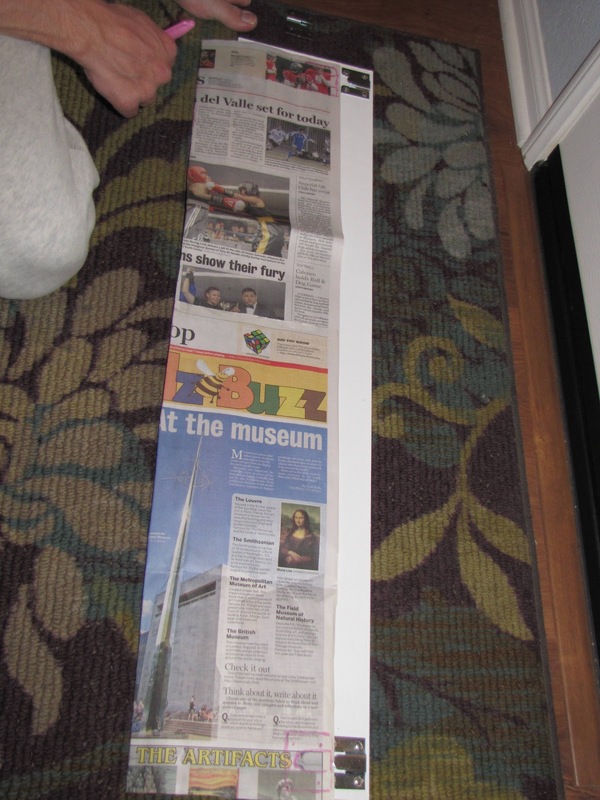 Ours were just a tad too long so we had to use slightly shorter ones. 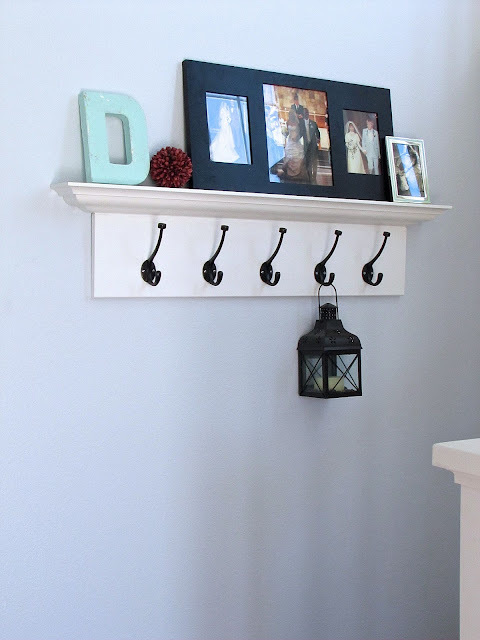 Once both of the hardware pieces are screwed into the board you need to match them up perfectly to where you want them on the wall. That way everything fits perfectly and is level. We used a piece of old newspaper and cut it exact same size as the board. Using a marker, we traced the existing hardware onto the paper. So the newspaper is a replica of where the hardware is on the board. Now it will be very easy to see where to put the screws in the wall. 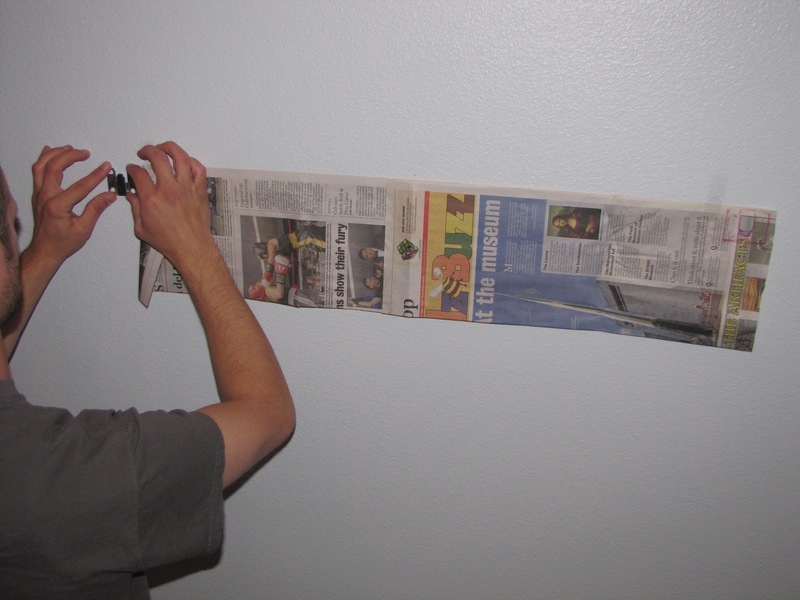 Tape the newspaper to the wall where you want the shelf to go and make sure the markings are level. We used a yardstick to draw a line from the top of each piece of hardware and made sure it was level. 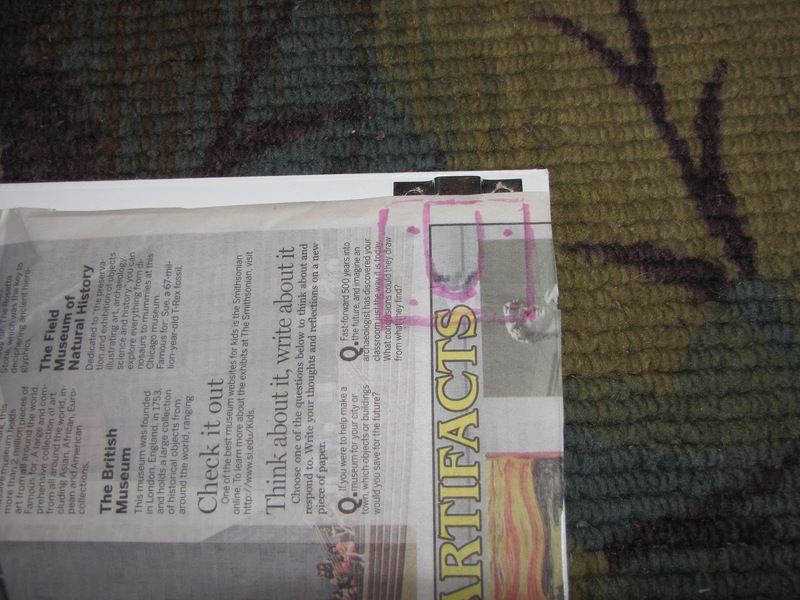 Once we knew where the screws should go we poked holes through the paper using thumb tacks and moved the paper to the side to put the screws in. We used wall anchors in a couple of places also to make sure it would be strong enough to hold heavy coats, bags, etc. You will also want to use the stud finder to see if you are screwing into a stud. 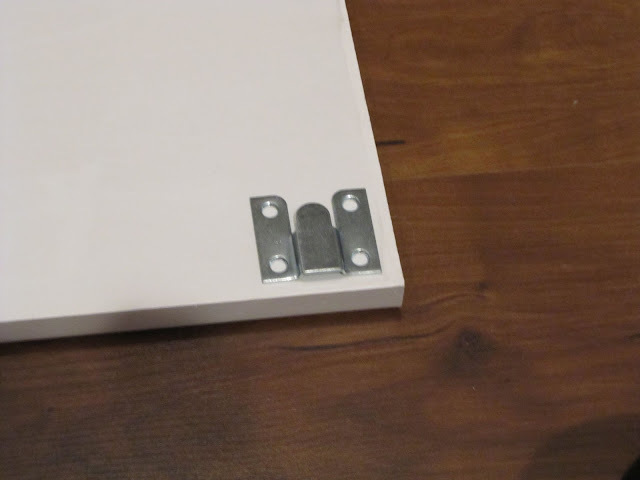 If you are you won't need to use the anchors as the stud will be strong enough to hold it. Here they are in the wall. 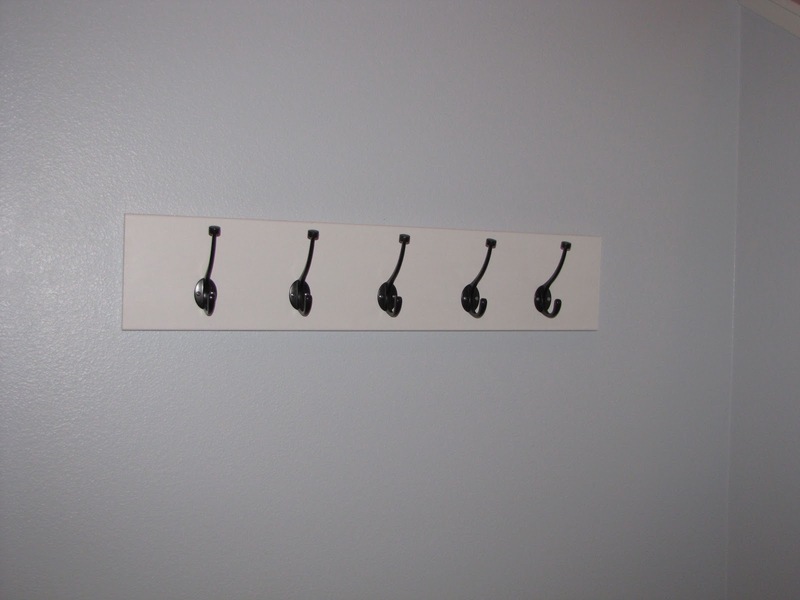 Notice how the hooks are facing up and the ones on the board are facing down so they will slide right into these. Next, Phil screwed each of the hooks into the board using the pencil marks we made earlier as a guide. 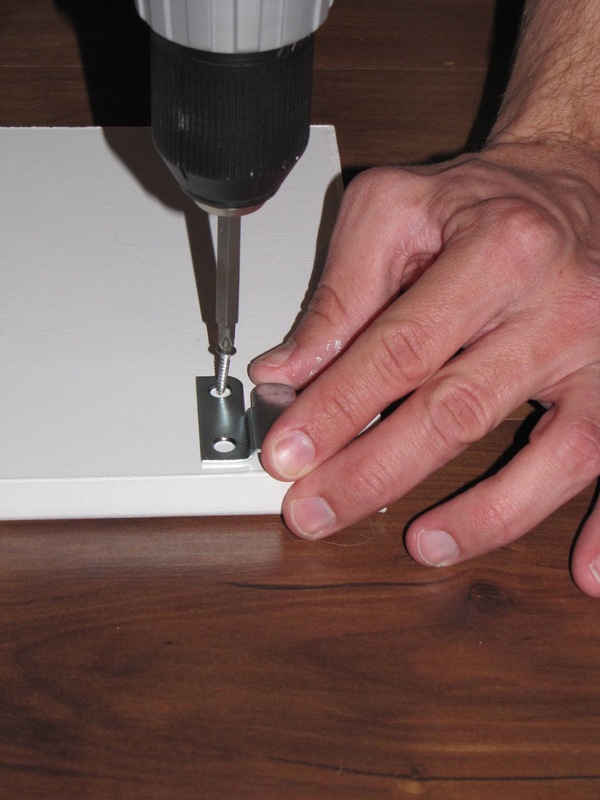 Again make sure the screws you use are short enough and don't go through the board on the other end. 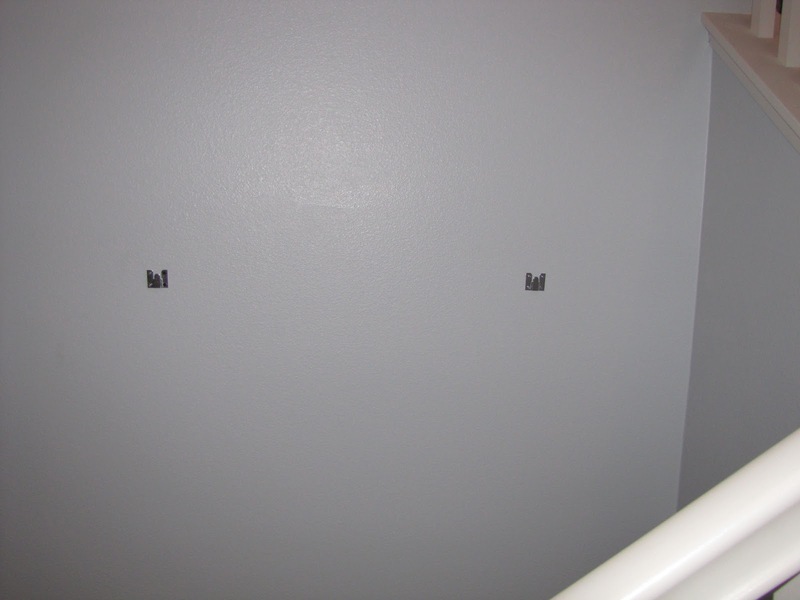 Then we just slid the board onto the hardware we screwed into the wall. 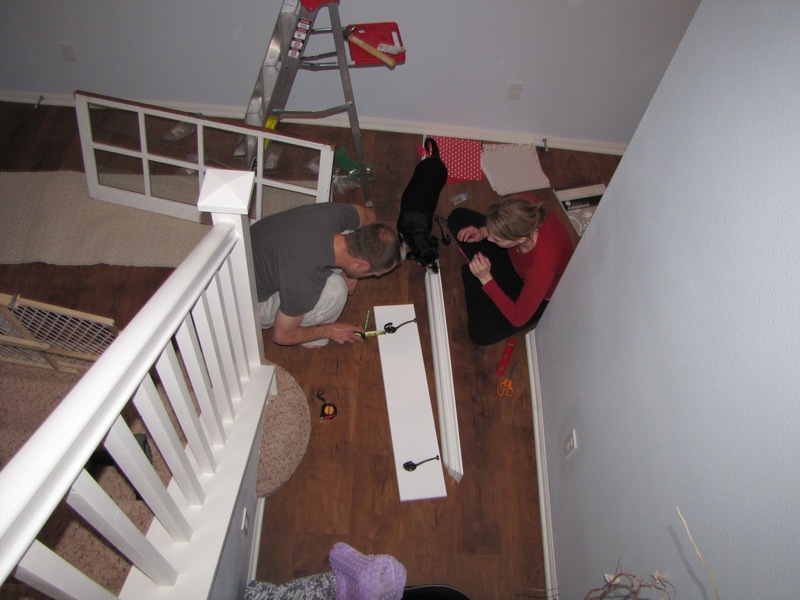 Using the hardware that came with the crown molding ledge we installed it directly above the board with hooks so that the bottom of the ledge just touched the top of the board. To make it look like it was all one piece we caulked the edge just under the crown molding ledge where it met the board. Since we finished this project late at night I waited until the next morning to decorate it and take pictures. 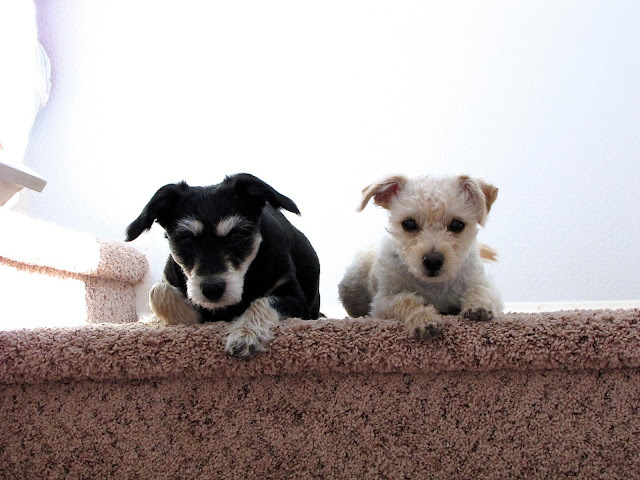 Bella and Max enjoyed watching and basking in the sun coming in through the windows on the staircase. 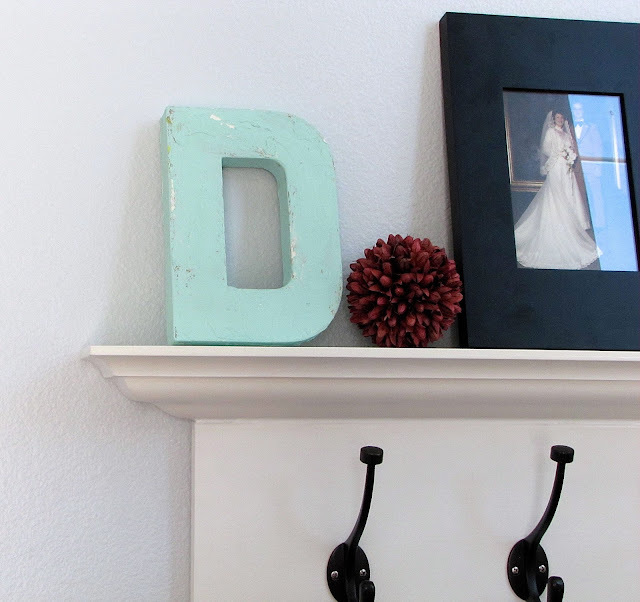 I love how it looks in their foyer and I can't wait to see how Sara changes it up for all the holidays! Great idea! 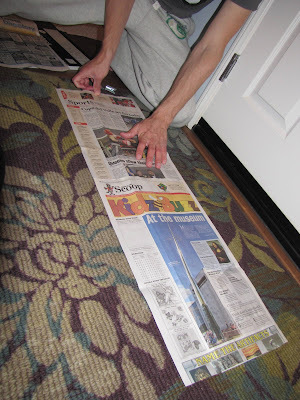 Thank you for the detailed steps w/ hardware assembly & LOVE the newspaper trick!